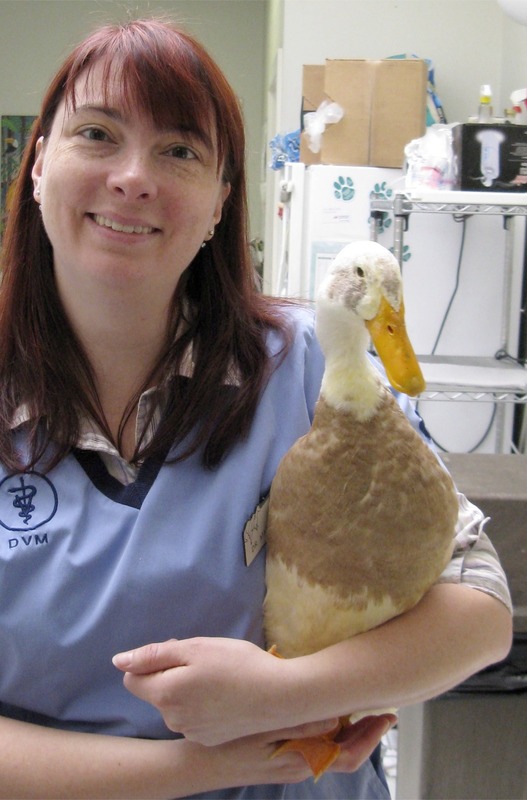 I am a veterinarian and owner at Bay Area Bird Hospital (BABH) in San Francisco, CA. I graduated from the College of Veterinary Medicine at the University of Illinois in 2004. In 2005 I was able to return to my hometown to practice at Bay Area Bird Hospital. At Bay Area Bird Hospital I’ve been able to focus on treating exotic pets – that includes birds, rabbits, rodents such as guinea pigs, hamsters and rats as well as reptiles. Sorry, no spiders, fish or invertebrates! For more information on Bay Area Bird Hospital, take a look at our website. I am especially happy to announce that in 2012 I achieved the status of a specialist in the field of bird medicine – a Diplomate of the American Board of Veterinary Practitioners, Avian Practice (or DABVP, Avian). This was a process that took several years of dedication but was worth it in the end. I am a member of a variety of Associations – these allow me to connect to my colleagues and stay on top of current news and research. I am lucky to be able to work with a variety of exotic species – birds, rabbits, guinea pigs, turtles, lizards…the list goes on. I hope to use this blog to inform and educate people about the special needs of these special pets.